A 2017 study estimated that 1,720 children in the United States died that year from abuse and neglect. Of those fatalities, 72 percent of the children were younger than three years old. Prevention of these types of tragedies is why the Youth Crisis Center is promoting National Child Abuse Prevention Month. Every April, National Child Abuse Prevention Month helps spark a conversation about how we can keep our children safe and give them a childhood free of violence. When the initiative first began, National Child Abuse Prevention Month was focused on the recognition and prevention of abuse. Now, the efforts have widened to include promoting healthy parenting and strong families through education and community support. Parents or legal guardians are responsible for creating a positive environment in which children deserve to grow up. However, millions of children are abused, neglected and mistreated by those trusted adults. Child abuse can come in many different forms: physical, sexual, verbal or psychological. Child neglect can also present as psychological, emotional or medical neglect. Many of the children experiencing mistreatment by their caregivers have overlapping areas of abuse and neglect. There are some well-known risk factors that may increase the likelihood of child abuse, such as substance abuse, financial issues, or history of domestic violence. However, some risk factors might not be as obvious. Research shows there are certain caregiver or environmental characteristics that can lead to a greater risk of child abuse. Stress: Whether stress stems from long days at work, loss of income, health issues, death, relocation, divorce or other issue, it plays a big role in child abuse. Stress heightens conflict in the family and increases tension. Without coping skills or similar resources for support, family members may take out their stress on one another. Mental illness: People who are suffering from a mental illness, such as depression or bipolar disorder, can act out, become distant or withdraw from their children without knowing why. They might have a hard time taking care of themselves, thereby making caring for children much more difficult. Age: Many young parents don’t realize how much time and effort truly goes in to taking care of a child until they have one of their own. These parents may become angry with their children because of what they had to give up to care for them. Community violence: When someone is repeatedly exposed to violence, they are more likely to mimic that behavior. Whether the caregiver grew up in a violent household or witnessed violence on the streets, a vicious cycle can begin. Mother of four, Nakeicha Dawson, knew that her family was in trouble. With the children constantly fighting, it was hard to find a sense of stability within their family. When a therapist from the Youth Crisis Center visited her children’s school, Nakeicha realized that this was the help she had been hoping for. After attending a few counseling sessions with a therapist from YCC’s Family Link Program, her daughter Jaryonne’s attitude began to change for the better. In addition to Family Link, Nakeicha, Jaryonne, and other children in the family participated in YCC’s SNAP (Stop Now and Plan) program, through which they learned conflict-prevention techniques as a family. This drastically decreased their fighting. The household calmed down tremendously to help build a better family atmosphere. SNAP is for boys and girls ages 6-11. This 13-week program teaches children with behavioral issues, and their parents, how to effectively manage their emotions and reduce the chance of conflict. “Until you’ve done everything possible to help your child, you’re not helping the situation,” said Nakeisha to parents who are considering participation in YCC’s programs. “No risk, no reward. Taking that first step can change your life forever.” Both Family Link and SNAP programs are free resources offered by YCC to help positively transform your family dynamics. Do you have a child between the ages of 6-17 experiencing issues that disrupt the health and stability of the family? 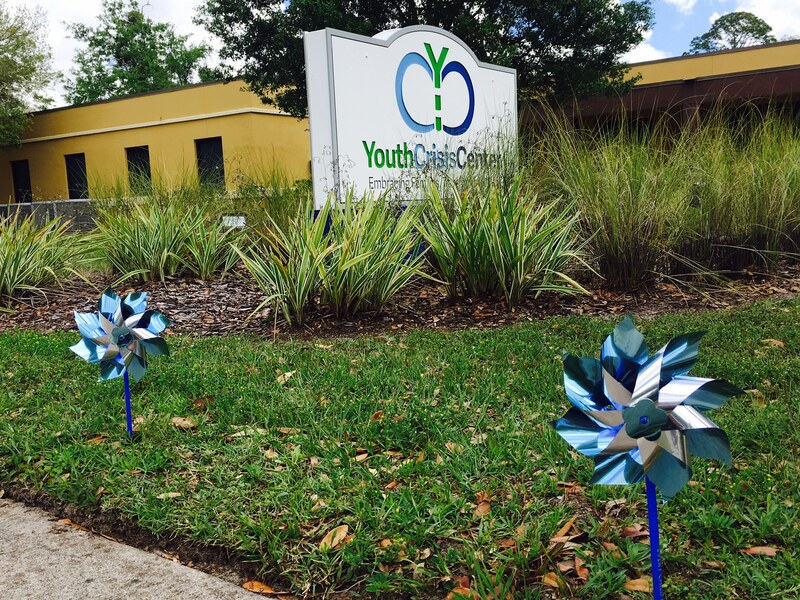 YCC’s Family Link program provides short-term, outpatient counseling services to families at no cost. These services are available to residents of Baker, Clay, Duval, St. Johns and Nassau counties through appointments at the child’s school or other community locations. 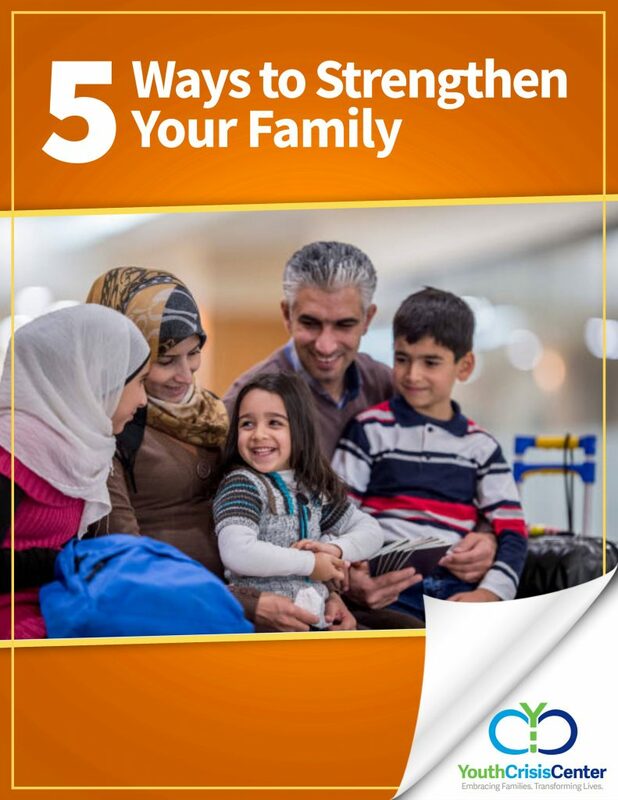 Click to learn more about Family Link and the 5 Ways to Strengthen Your Family.